With approximately 85% of all corn used in the US being GMO many are beginning to lean away from corn products all together. But it's truly not necessary to give up the flavors and textures that you enjoy. Many different cultures use corn to make a similar flat-bread to be enjoy with a wide range of recipes and customary dishes. Here is a quick ancient grain recipe using Kamut flour that's simple to make and easy to digest. Just top a hot tortilla with whatever you like, roll it up and enjoy. Measure out the oil and add it to a small dish, transfer to the freezer for 5 minutes. Add the flour and salt to the work bowl of a food processor. Using the steel blade, pulse to combine. Add the cold avocado oil and pulse until mixture resembles coarse crumbs. Add the ice water and process until a cohesive dough forms. Turn dough out onto a lightly floured board and knead until smooth, about 1 minute. Tear off a portion of parchment paper and place on a work space. Heat a heavy skillet or griddle, over medium-high heat, cast iron is my choice. While the griddle is heating, divide dough into 8 equal pieces. 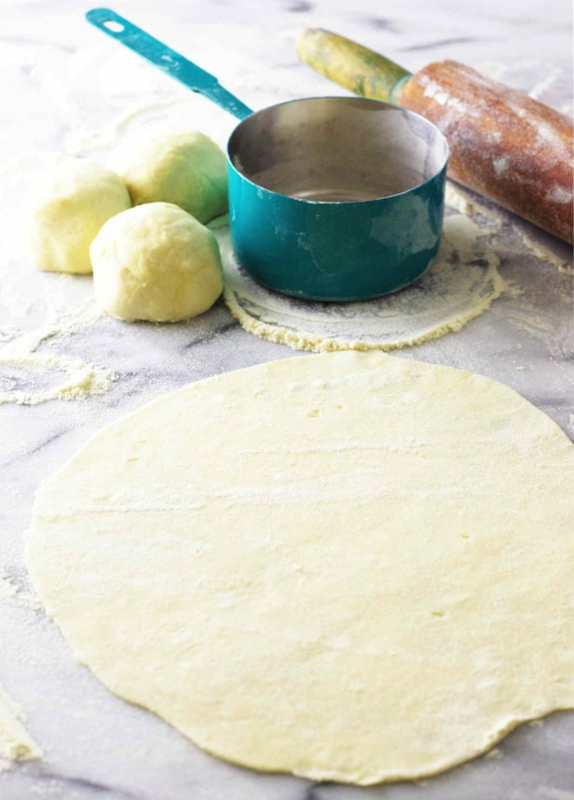 Dust your work board with flour, flatten each ball into a round disc and roll into a 8-inch round. If you like a thicker tortilla roll to about 6-inches. Place rolled tortilla onto the prepared parchment paper, cover with a light cloth and proceed with the remaining tortillas. Keep the rolled tortillas covered with the cloth until cooked. Do not stack the uncooked tortillas directly on top of each other, parchment paper between them will prevent them from sticking to each other. 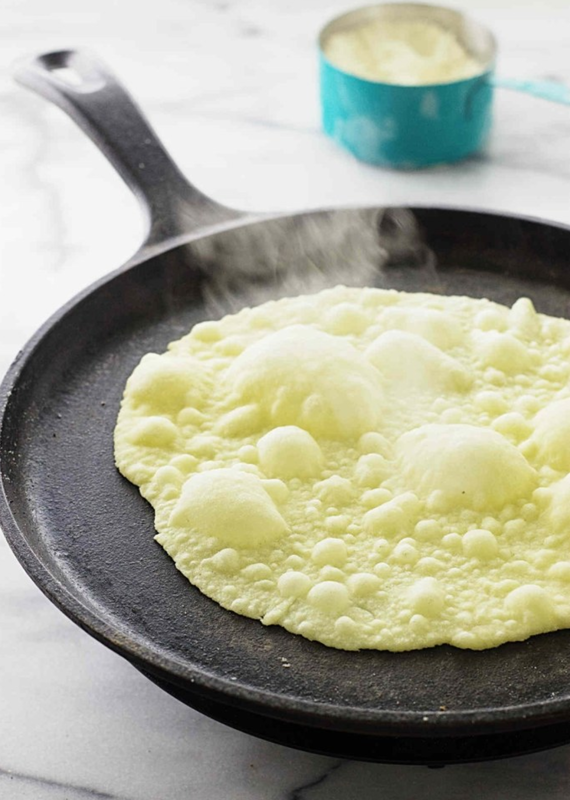 Place one rolled tortilla on the griddle and cook until bubbles form on the top and the bottom side has light browned spots, 15-30 seconds. It may be necessary to adjust the temperature of the griddle. Flip tortilla with a metal spatula and cook until second side develops light browned spots, 15-30 seconds longer. Transfer tortilla to a plate and cover with dish cloth. Keeping the tortillas covered with a cloth will trap the steam and keep them soft. Repeat with remaining balls of dough. Serve immediately while still warm and enjoy.